Area: 2.8 million sq. km. (1.1 million sq. mi. ); about the size of the U.S. east of the Mississippi River; second-largest country in South America and eighth-largest country in the world. Climate: Varied; predominantly temperate, with extremes ranging from subtropical in the north to arid/sub-Antarctic in far south. Nationality: Noun and adjective — Argentine(s). Population (2011 est. ): 41.770 million. Annual population growth rate (2010 est. ): 1.017%. Ethnic groups: European 97%, mostly of Spanish and Italian descent; mestizo, Amerindian, or other nonwhite groups 3%. Religions: Roman Catholic 92%, Protestant 2%, Jewish 2%, other 4%. Education: Compulsory until age 18. Adult literacy (2008) — 98%. Health: Infant mortality rate: 10.81/1,000. Life expectancy (2011 est.) — 76.95 years. Work force (2009 est. ): Industry and commerce — 23%; agriculture — 5%; services — 72%. Branches: Executive — president, vice president, cabinet. Legislative — bicameral Congress (72-member Senate, 257-member Chamber of Deputies). Judicial — Supreme Court, federal and provincial trial courts. Administrative subdivisions: 23 provinces and one autonomous district (Federal Capital). Political parties: Peronist (Justicialist, PJ), Radical Civic Union (UCR), numerous smaller national and provincial parties. Suffrage: Compulsory for adults aged 18-70; optional for those over 70. Annual real growth rate (2010 est. ): 7.5%. Natural resources: Fertile plains (pampas); minerals — lead, zinc, tin, copper, iron, manganese, oil, and uranium. Agriculture (8.5% of GDP; including agribusiness, about 58% of exports by value): Products — oilseeds and by-products, grains, livestock products. Industry (31.6% of GDP): Types: food processing, oil refining, machinery and equipment, textiles, chemicals and petrochemicals. Trade: Exports ($68.5 billion): oilseed by-products, vegetable oils, cars, fuels, grains. Major markets — Brazil 18.78%; EU 17.7%; China 9.26%; U.S. 6.38%; Chile 7.11%. Imports ($56.44 billion) — machinery, vehicles and transport products, chemicals, petroleum and natural gas, plastics. Major suppliers (2009 est.) — Brazil 31.12%; U.S. 13.69%; China 10.26%; Germany 4.69%. Argentines are a fusion of diverse national and ethnic groups, with descendants of Italian and Spanish immigrants predominant. Waves of immigrants from many European countries arrived in the late 19th and early 20th centuries. Syrian, Lebanese, and other Middle Eastern immigrants number about 500,000 to 600,000, mainly in urban areas. Argentina's population is overwhelmingly Catholic, but it also has the largest Jewish population in Latin America, estimated at between 250,000 and 300,000. In recent years, there has been a substantial influx of immigrants from neighboring countries, particularly Paraguay, Bolivia, and Peru. The indigenous population, estimated at 700,000, is concentrated in the provinces of the north, northwest, and south. Eighty percent of the population resides in cities or towns of more than 2,000, and over one-third lives in the greater Buenos Aires area. Europeans arrived in the region with the 1502 voyage of Amerigo Vespucci. Spanish navigator Juan Diaz de Solias visited what is now Argentina in 1516. Spain established a permanent colony on the site of Buenos Aires in 1580, although initial settlement was primarily overland from Peru. The Spanish further integrated Argentina into their empire by establishing the Vice Royalty of Rio de la Plata in 1776, and Buenos Aires became a flourishing port. Argentina formally declared independence from Spain on July 9, 1816. Argentines revere Gen. Jose de San Martin — who campaigned in Argentina, Chile, and Peru — as the hero of their national independence. Following the defeat of the Spanish, centralist and federalist groups waged a lengthy conflict between themselves to determine the future of the nation. A modern constitution was promulgated in 1853, and a national unity government was established in 1861. Two forces combined to create the modern Argentine nation in the late 19th century: the introduction of modern agricultural techniques and integration of Argentina into the world economy. Foreign investment and immigration from Europe aided this economic revolution. Investment, primarily from Britain, came in such fields as railroads and ports. As in the United States during this same period, the migrants who worked to develop Argentina's resources — especially the western pampas — came principally from throughout Europe. From 1880 to 1930, Argentina became one of the world's 10 wealthiest nations as a result of the rapid expansion of agriculture and foreign investment in infrastructure. The Great Depression brought a halt to this period of booming expansion, and combined with other social and political changes to usher in a period of less stable governance. The governments of the 1930s attempted to contain the currents of economic and political change that eventually led to a military coup and the subsequent emergence of Juan Domingo Peron (b. 1897). New social and political forces were seeking political power, including a modern military and labor movements that emerged from the growing urban working class. The military ousted Argentina's constitutional government in 1943. Peron, then an army colonel, was one of the coup's leaders, and he soon became the government's dominant figure as Minister of Labor. Elections carried him to the presidency in 1946. He created the Partido Unico de la Revolucion, which became more commonly known as the Peronist or Justicialista party (PJ). He aggressively pursued policies aimed at empowering the working class and greatly expanded the number of unionized workers. In 1947, Peron announced the first 5-year plan based on the growth of industries he nationalized. He helped establish the powerful General Confederation of Labor (CGT). Peron's dynamic wife, Eva Duarte de Peron, known as Evita (1919-52), played a key role in developing support for her husband. Peron won re-election in 1952, but the military sent him into exile in 1955. In the 1950s and 1960s, military and civilian administrations traded power, trying, with limited success, to deal with diminished economic growth and continued social and labor demands. When military governments failed to revive the economy and suppress escalating domestic terrorism in the late 1960s and early 1970s, the way was open for Peron's return. On March 11, 1973, Argentina held general elections for the first time in 10 years. Peron was prevented from running, but voters elected his stand-in, Dr. Hector Campora, as President. Peron's followers also commanded strong majorities in both houses of Congress. Campora resigned in July 1973, paving the way for new elections. Peron won a decisive victory and returned as President in October 1973 with his third wife, Maria Estela Isabel Martinez de Peron, as Vice President. During this period, extremists on the left and right carried out violent acts with a frequency that threatened public order. The government resorted to a number of emergency decrees, including the implementation of special executive authority to deal with violence. This allowed the government to imprison persons indefinitely without charge. Peron died on July 1, 1974. His wife succeeded him in office, but a military coup removed her from office on March 24, 1976, and the armed forces formally exercised power through a junta composed of the three service commanders until December 10, 1983. The armed forces applied harsh measures against those they considered extremists and many others suspected of being their sympathizers. While they were able to gradually restore basic order, the human costs of what became known as "El Proceso," or the "Dirty War," were high. Official sources have identified approximately 9,000 persons who were "disappeared" during the 1976-83 military dictatorship, while some human rights groups put the figure as high as 30,000. Serious economic problems, mounting charges of corruption, public revulsion in the face of human rights abuses and, finally, the country's 1982 defeat by the United Kingdom in an unsuccessful attempt to seize the Falklands/Malvinas Islands all combined to discredit the Argentine military regime. The junta lifted bans on political parties and gradually restored basic political liberties. Democracy returned to Argentina in 1983, with Raul Alfonsin of the country's oldest political party, the Radical Civic Union (UCR), winning the presidency in elections that took place on October 30, 1983. He began a 6-year term of office on December 10, 1983. The UCR-led government took steps to resolve some of the nation's most pressing problems, including accounting for those who disappeared during military rule, establishing civilian control of the armed forces, and consolidating democratic institutions. However, inability to resolve endemic economic problems eventually undermined public confidence in the Alfonsin government, which left office 6 months early after Justicialista Party (PJ) candidate Carlos Saul Menem won the 1989 presidential elections. President Menem imposed peso-dollar parity (convertibility) in 1992 to break the back of hyperinflation and adopted far-reaching market-based policies. Menem's accomplishments included dismantling a web of protectionist trade and business regulations and reversing a half-century of statism by implementing an ambitious privatization program. These reforms contributed to significant increases in investment and growth with stable prices through most of the 1990s. Unfortunately, persistent allegations of corruption also accompanied many of the reforms, eventually undermining public confidence in the government and economy. Neither Menem nor his successor President Fernando De la Rua, who won election in 1999 at the head of a UCR-led coalition of center and center-left parties known as the "Alianza", were able to maintain public confidence and the recovery weakened. Also, while convertibility defeated inflation, its permanence undermined Argentina's export competitiveness and created chronic deficits in the current account of the balance of payments, which were financed by massive borrowing. The contagion effect of the Asian financial crisis of 1998 precipitated an outflow of capital that gradually mushroomed into a 4-year depression that culminated in a financial panic in November 2001. In December 2001, amidst bloody riots, President De la Rua resigned. After a period of political turmoil and several provisional presidents, a legislative assembly elected Eduardo Duhalde (PJ) President on January 1, 2002 to complete the term of former President De la Rua. Duhalde — differentiating himself from his three predecessors — quickly abandoned the peso's 10-year-old link with the dollar, a move that was followed by a sharp currency depreciation and rising inflation. In the face of increasing poverty and continued social unrest, Duhalde moved to bolster the government's social programs and to contain inflation. He stabilized the social situation and advanced presidential elections by 6 months in order to pave the way for a new president elected with a popular mandate. In the first round of the presidential election on April 27, 2003, former President Carlos Menem (PJ) won 24.3% of the vote, Santa Cruz Governor Nestor Kirchner (PJ) won 22%, followed by smaller party/alliance candidates Ricardo Lopez Murphy with 16.4% and Elisa Carrio with 14.2%. Menem withdrew from the May 25 runoff election after polls showed overwhelming support for Kirchner in the second round of elections. After taking office, Kirchner focused on consolidating his political strength and alleviating social problems. He pushed for changes in the Supreme Court and military and undertook popular measures such as raising government salaries, pensions, and the minimum wage. On October 23, 2005, President Kirchner, bolstered by Argentina's rapid economic growth and recovery from its 2001-2002 crisis, won a major victory in the midterm legislative elections, giving him a strengthened mandate and control of a legislative majority in both the Senate and Chamber of Deputies. Although Kirchner enjoyed approval ratings of over 60%, he announced in July 2007 that he would not seek re-election and backed his wife, then-Senator Cristina Fernandez de Kirchner, as the candidate to succeed him. Fernandez de Kirchner had a decades-long pedigree in politics, having served in the Chamber of Deputies and the Senate. She won 45% of the vote in the October 2007 presidential election and defeated her closest competitor, Elisa Carrio of the Civic Coalition, by 22.25 points. Thus, Cristina Fernandez de Kirchner became the first Argentine woman elected to the presidency. "Cristina," as Argentines often refer to her, was sworn into office on December 10, 2007. Argentina held mid-term congressional elections in June 2009, in which the ruling PJ Victory Front (FpV) lost its majority in both houses of Congress. The new Congress convened in December 2009. The next presidential elections will be held on October 23, 2011; a runoff, if needed, will be held on November 20. Fernandez de Kirchner is seeking re-election, competing against a varied field of opponents, including Ricardo Alfonsin (UCR), former president Eduardo Duhalde, Santa Fe Governor Hermes Binner (Socialist), Elisa Carrio (Civic Coalition), and San Luis Governor Alberto Rodriguez Saa. Argentina's constitution of 1853, as revised in 1994, mandates a separation of powers into executive, legislative, and judicial branches at the national and provincial level. Each province also has its own constitution, roughly mirroring the structure of the national constitution. The president and vice president are directly elected to 4-year terms. Both are limited to two consecutive terms; they are allowed to stand for a third term or more after an interval of at least one term. The president appoints cabinet ministers, and the constitution grants the office considerable power, including authority to enact laws by presidential decree under conditions of "urgency and necessity" and the line-item veto. Since 2001, senators have been directly elected, with each province and the Federal Capital represented by three senators. Senators serve 6-year terms. One-third of the Senate stands for re-election every 2 years. Members of the Chamber of Deputies are directly elected to 4-year terms. Voters elect half the members of the lower house every 2 years. Both houses are elected via a system of proportional representation. By decree, one-third of the candidates for both houses of Congress must be women. As a result, Argentina's female representation in Congress ranks among the world's highest, with representation comparable to European Union (EU) countries such as Austria and Germany. The constitution establishes the judiciary as an independent government entity. The president appoints members of the Supreme Court with the consent of the Senate after a public vetting process. The president, on the recommendation of a magistrates' council, appoints other federal judges. The Supreme Court has the power to declare legislative acts unconstitutional. The two largest traditional political parties are the Justicialist Party (PJ — also called Peronist), founded in 1945 by Juan Domingo Peron, and the Union Civica Radical (UCR), or Radical Civic Union, founded in 1891. New political forces and alliances tend to form during each election cycle. Notable examples in recent years include the Civic Coalition (CC) and the Republican Proposal (Propuesta Republicana, or PRO), both concentrated in the urban centers and working to build national party structures. PRO is mostly based in the city of Buenos Aires, where its leader, Mauricio Macri, won the 2007 mayoral election and won the most votes in the 2011 mayoral election's first round. Historically, organized labor — largely tied to the Peronist Party — and the armed forces also have played significant roles in national life. However, the Argentine military's public standing suffered as a result of its perpetration of human rights abuses, economic mismanagement, and defeat by the United Kingdom during the period of military rule (1976-83). The Argentine military today is a volunteer force fully subordinate to civilian authority. Argentina maintains an embassy (http://www.embassyofargentina.us/v2011/en/home.htm) in the United States at 1600 New Hampshire Ave. NW, Washington DC 20009; tel. (202) 238-6400; fax (202) 332-3171. Argentina benefits from rich natural resources, a highly educated population, a globally competitive agricultural sector, and a diversified industrial base. The move after the 2001-2002 crisis to a more flexible exchange rate regime, along with sustained global and regional growth, a boost in domestic aggregate demand via monetary, fiscal, and income distribution policies, and favorable international commodity prices and interest rate trends were catalytic factors in supporting 5 consecutive years of greater than 8% annual GDP growth between 2003 and 2007. That economic recovery enabled the government to accumulate substantial official reserves (over $51 billion as of late August 2010). The reserves, combined with the absence of fresh borrowing from the international capital markets, helped insulate the economy from external shocks. A higher tax burden, improved tax collection efforts, and the recovery's strong impact on tax revenues supported the government's successful efforts to maintain primary fiscal surpluses since 2003. Global financial turmoil and rapid declines in world commodity prices and economic growth during 2008 and 2009 resulted in diminished domestic growth in 2008 and a mild recession in 2009. These factors as well as some changes in trade policy in late 2008 and in 2009 had an impact on foreign trade, with imports and exports falling 32% and 20% annually, respectively, in 2009. While the economic downturn was less severe in Argentina than elsewhere, the deterioration of both domestic and international demand complicated the fiscal situations of both the federal government and the provinces. The global economy's current recovery is helping to ameliorate some of those pressures. Official figures show that Argentine GDP reached U.S. $380 billion in 2010, approximately U.S. $9,400 per capita, with investment increasing an estimated 10% for the year and representing approximately 22% of GDP. Analysts estimate that 2010 GDP growth was 7.5%. Government of Argentina statistics showed unemployment was 9.7% in 2010. Poverty dropped in the aftermath of the economic crisis of 2001-2002, after it reached a record high of over 50%. In 2010, the official poverty level was 12%. Some unofficial estimates suggest that unemployment and poverty levels may be higher. Argentina's exchange rate policy is based on a managed float, with an average exchange rate of 3.89 pesos per dollar in 2010. The rate in early June 2011 was 4.10 pesos per dollar. According to market analysts, the peso's real exchange rate has been undervalued in previous years, which, when combined with high global commodity prices, helped lift export volumes and values to record levels. Argentina had a $1.82 billion trade surplus in early 2011. Foreign trade was approximately 31% of GDP in 2009 (up from only 10% in 1990) and played an increasingly important role in Argentina's economic development. Exports totaled approximately 18% of GDP in 2009 (up from 15% in 2002), and key export markets included Brazil (18.78%), EU (17.7%), China (9.26%), U.S. (6.38%), and Chile (7.11%). Two-way trade in goods with the U.S. in 2009 totaled about $9.4 billion according to the U.S. International Trade Commission. Total two-way trade in services in 2009 was $5.1 billion (according to the Bureau of Economic Analysis, U.S. Department of Commerce). The production of grains, cattle, and other agricultural goods continues to be the backbone of Argentina's export economy. High-technology goods and services are emerging as significant export sectors. Continuing Argentine arrears to international creditors and a large number of arbitration claims filed by foreign companies are legacies of the 2001-2002 economic crisis that remain to be resolved. Outstanding external debts included over $6.3 billion (not including interest and penalties) owed to official creditors according to Government of Argentina statistics, including about $500 million owed to the United States. From May to June 2010, the Government of Argentina offered a debt restructuring for private holders of defaulted bonds. Two-thirds of the private bondholders participated, leaving approximately $6 billion in private default claims still outstanding. Nearly 500 U.S. companies are currently operating in Argentina, employing over 155,000 Argentine workers. U.S. investment in Argentina is concentrated in the manufacturing, information, and financial sectors. The president, through a civilian minister of defense, commands the Argentine armed forces. The Security Ministry controls the Federal Police, the Gendarmeria (border police), the Prefectura Naval (coast guard), and the Airport Security Police. The Ministry of Defense has pursued an aggressive restructuring program based on the 1988 Argentine defense law. Priorities include emphasis on joint operations and peacekeeping. There has been minimal recapitalization due to budget constraints experienced over the past 5 years. The Ministry of Security was created in 2010 and has pursued various reforms of the public security sector. Argentina's foreign policy priorities are focused on increasing regional partnerships, including consolidating and expanding the MERCOSUR regional trade bloc and more deeply institutionalizing the Union of South American Nations (UNASUR). 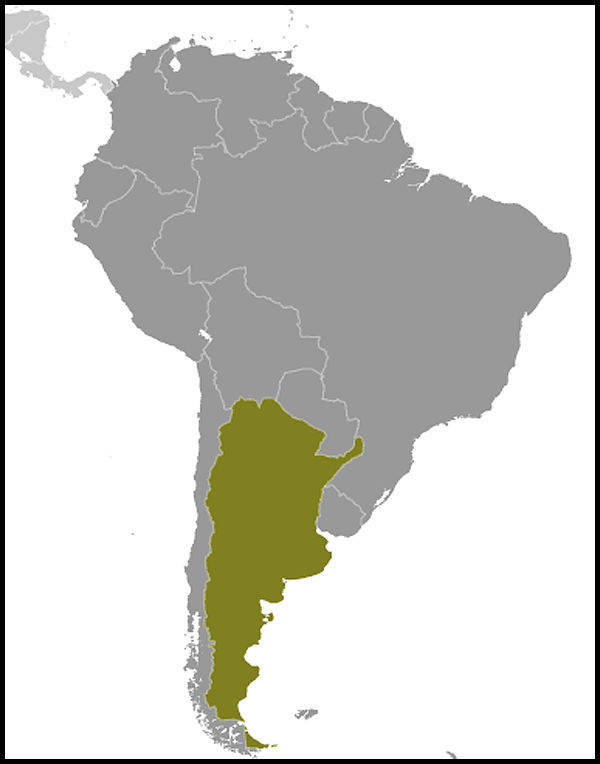 Argentina is an active member of the United Nations system and served a 3-year term on the UN Human Rights Council ending June 2011. Argentina currently has approximately 700 peacekeeping troops in Haiti in support of the UN peacekeeping operation (MINUSTAH), reflecting its traditionally strong support of UN peacekeeping operations. As a member of the Board of Governors of the International Atomic Energy Agency, Argentina has been a strong voice in support of nuclear non-proliferation efforts. The bilateral relationship between the United States and Argentina is based on many shared interests, including non-proliferation; cooperation on transnational issues such as counternarcotics, counterterrorism, and human trafficking; issues of regional peace and stability, including shared support for multilateral peacekeeping operations; and commercial ties. U.S.-Argentine cooperation also includes significant science and technology initiatives in the fields of space, peaceful uses of nuclear energy, agricultural research, medicine, and the environment. The first of what is expected to be annual bilateral joint science and technology working group meetings was held in September 2010. In June 2007, the U.S. and Argentina modernized a bilateral civil aviation agreement to update safety and security safeguards and allow a significant increase in flight frequencies between the two countries, which hold excellent potential for increased tourism and business travel. An active media, together with widespread interest in American culture and society, make Argentina a receptive environment for the information and cultural exchange work of the U.S. Embassy. The Fulbright scholarship program has more than tripled the annual number of U.S. and Argentine academic grantees since 1994, and the U.S. Embassy is actively working to increase other education exchanges. The U.S. Mission in Buenos Aires carries out the traditional diplomatic function of representing the U.S. Government and people in discussions with the Argentine Government, and more generally, in relations with the people of Argentina. The Embassy is focused on increasing people-to-people contacts, and promoting outreach and exchanges on a wide range of issues. Political, economic, and science officers deal directly with the Argentine Government in advancing U.S. interests but are also available to brief U.S. citizens on general conditions in the country. Officers from the U.S. Foreign Service, Foreign Commercial Service, and Foreign Agricultural Service work closely with the hundreds of U.S. companies that do business in Argentina, providing information on Argentine trade and industry regulations and assisting U.S. companies starting or maintaining business ventures in Argentina. The Embassy's Consular Section monitors the welfare and whereabouts of some 34,000 U.S. citizen residents of Argentina and almost 400,000 U.S. tourists each year. Consular personnel also provide American citizens passport, voting, notary, Social Security, and other services. With the end of Argentine participation in the visa waiver program in February 2002, Argentine tourists, students, and those who seek to work in the United States must have nonimmigrant visas. The Consular Section processes nonimmigrant visa applications for persons who wish to visit the United States for tourism, studies, temporary work, or other purposes, and immigrant visas for persons who qualify to make the United States a permanent home. Attaches accredited to Argentina from the Department of Justice (including the Drug Enforcement Administration and the Federal Bureau of Investigation), the Department of Homeland Security (including Immigration and Customs Enforcement, and Customs and Border Protection), the Federal Aviation Administration, and other federal agencies work closely with Argentine counterparts on international law enforcement cooperation, aviation security, and other issues of concern. The Department of Defense is represented by the U.S. Military Group and the Defense Attache Office. These organizations ensure close military-to-military contacts, and defense and security cooperation with the armed forces of Argentina. The U.S. Embassy (http://argentina.usembassy.gov/) in Buenos Aires, Argentina, is located at 4300 Colombia Avenue in the Palermo district of Buenos Aires. Mission offices can be reached by phone at (54)(11) 5777-4533/34 or by fax at (54)(11) 5777-4240. Mailing addresses: U.S. Embassy Buenos Aires, APO AA 34034; or 4300 Colombia, 1425 Buenos Aires, Argentina.